Your home is the perfect environment for roaches to live and breed. Your home has numerous nesting sites and plenty of food and water needed for roaches to thrive. Roaches enter your home through small cracks and crevices, drain and sewer pipes, vents, and electrical ingress points to name a few. 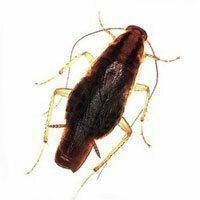 Once inside, roaches can be a pervasive pest, multiplying quickly they can remain active all year long. They feed on starchy foods, paper, fabric and decaying organic material. 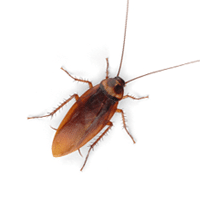 Roaches are nocturnal, seeing a roach in your home during the day may be a sign of a serious infestation. If you have children with asthma or allergies, it is important to get rid of the infestation as quickly as possible. Cast-off roach skins become airborne and act as an allergen that can cause an allergic reaction in sensitive individuals. 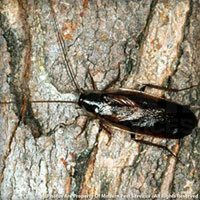 To learn more about the particular types of roaches common in New England homes, click on the profiles available for each type below. 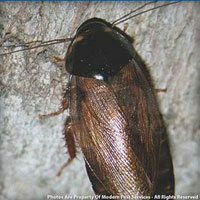 Learn more about our HomeCare Green program that covers 60 common household pests – including cockroaches! 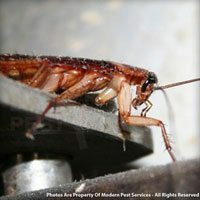 For more information on keeping your home cockroach free, get a quote today or contact our local pest control, specialist!